ALL OFFERS due Monday 10/22/18 at 12:00PM. New Hampshire living at its finest! 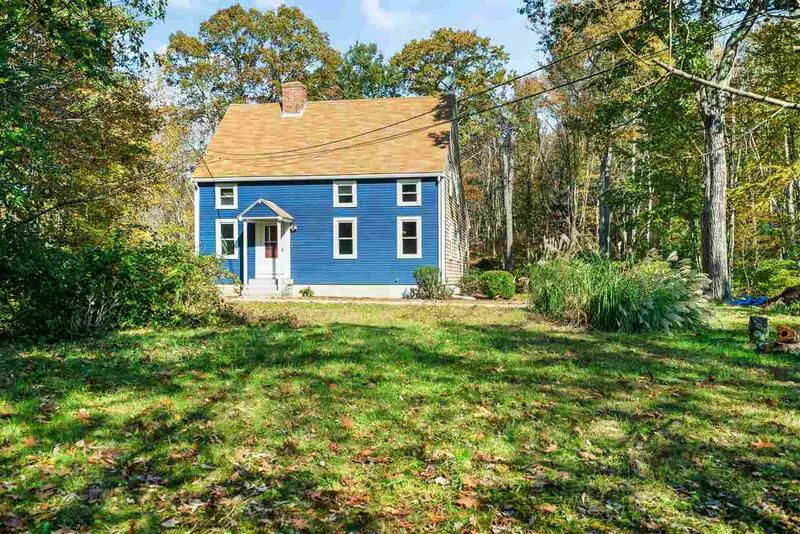 Lovely Post & Beam Colonial sitting on 9+ wooded acres!! First floor is full of charm with a spacious open concept floor plan that has exposed beams, cathedral ceiling, skylights and a gorgeous brick fireplace wrapping around from dining area to living space. Master bedroom comes with its own bathroom! The second bedroom is upstairs while the third bedroom is in the basement. Third bedroom can be used for many different purposes! Back deck offers complete privacy looking out to the serenity of the acreage behind. This is one you won't want to miss.